Where to Buy Aabsorb Spill Kit, Aabsorb Chemical Spill Duffel Bag Absorbent Kit - 40 Gal - $89.95 for Sale with Fast Free Shipping! Aabsorb Chemical Spill Duffel Bag Absorbent Kit - 40 Gal cleans up water based chemical spills around the shop and on the job site with economically. 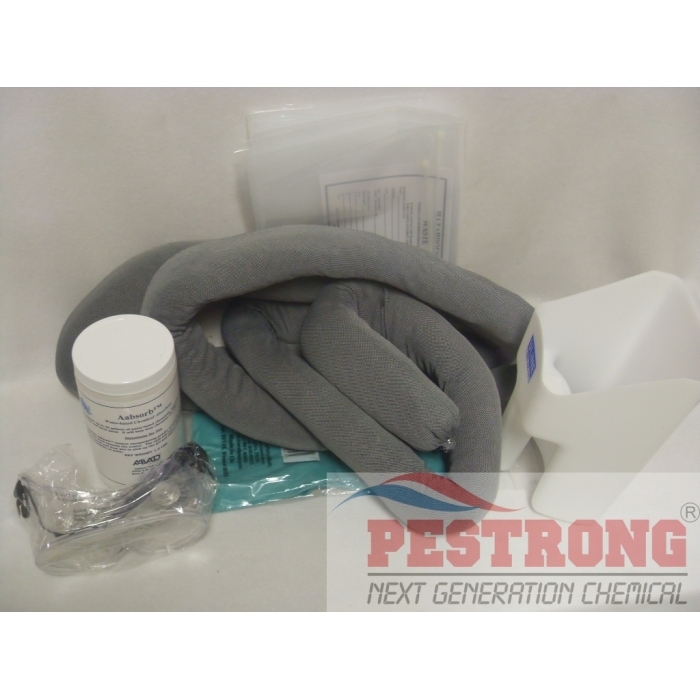 Aabsorb Chemical Spill Duffel Bag Absorbent Kit - 40 Gal cleans up water based chemical spills around the shop and on the job site with economically. Packed in a sturdy nylon zipper duffel bag carrying straps for easy transport. Encapsulating powder which will absorb any latex paint, water-based chemical including fertilizers, herbicides, insecticides and fungicides. Packed in a sturdy nylon zipper duffel bag carrying straps for easy transport. This is required to carry in a truck as spill kit. Thanks for low price. Nice product but a little high in price for what your getting. It would be nice if the bag had a label stating that it is a "Chemical Spill Absorbent Kit"